Project Size: 36,000 sq. ft. This flagship facility is one of two developed by Saint Luke’s Health System in response to patients’ desire and need for convenient yet comprehensive healthcare. The newly constructed, $11.6-million clinic provides specialized outpatient care including imaging, pharmacy and lab in a facility that is close to home and easier to navigate than a traditional hospital. The existing site can accommodate future growth and the modular specialty unit can be replicated. 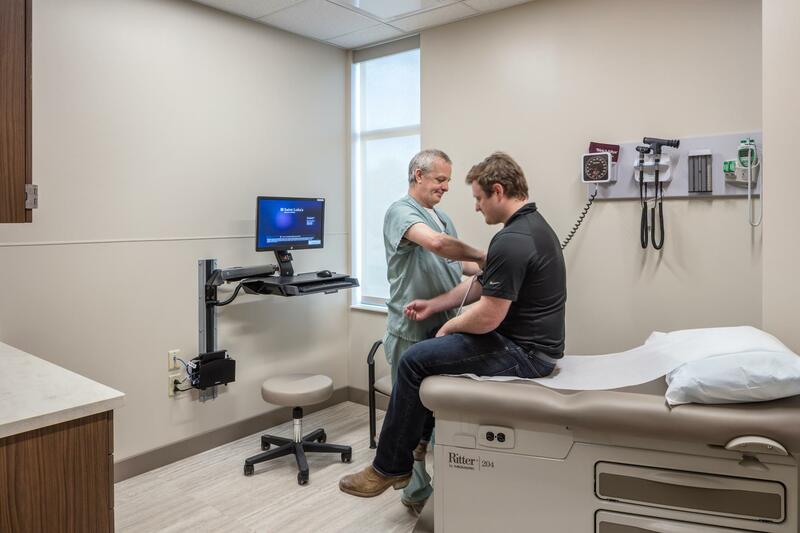 The clinic’s flexible floor plan features a standardized exam room design, which allows for rotating specialists to see patients without reconfiguring the rooms. 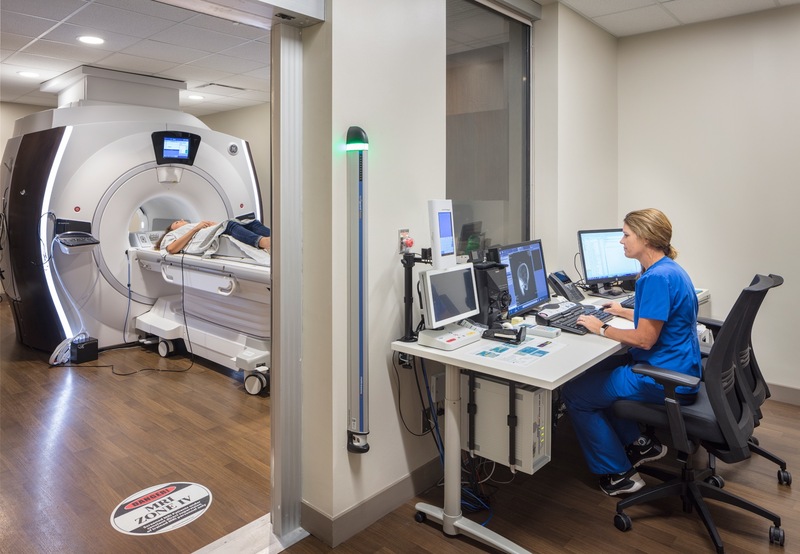 Treatment units include exam rooms that are paired with work stations, provider offices, restrooms, and secure medication and equipment storage. 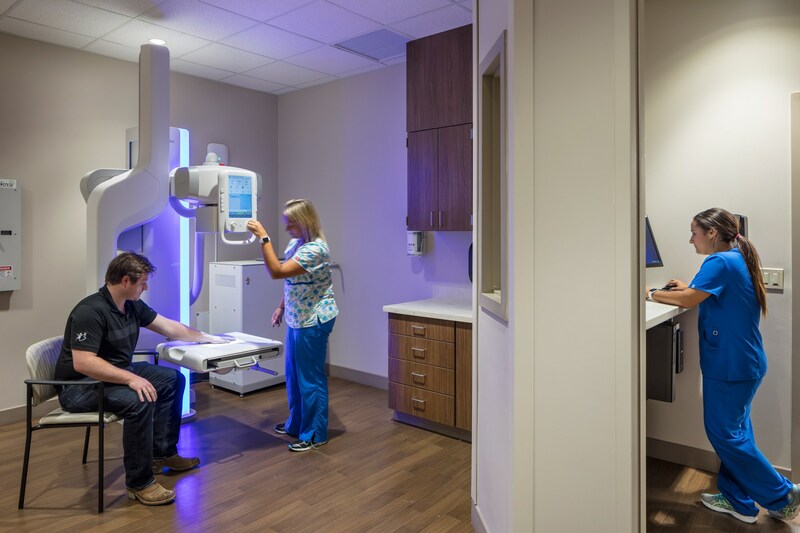 Each unit was designed to be self-sustaining and efficient, decreasing patient wait times and allowing providers to reduce movement between rooms, thereby reducing fatigue while optimizing time with patients. The patient-centered design also focuses on the community and the environment. 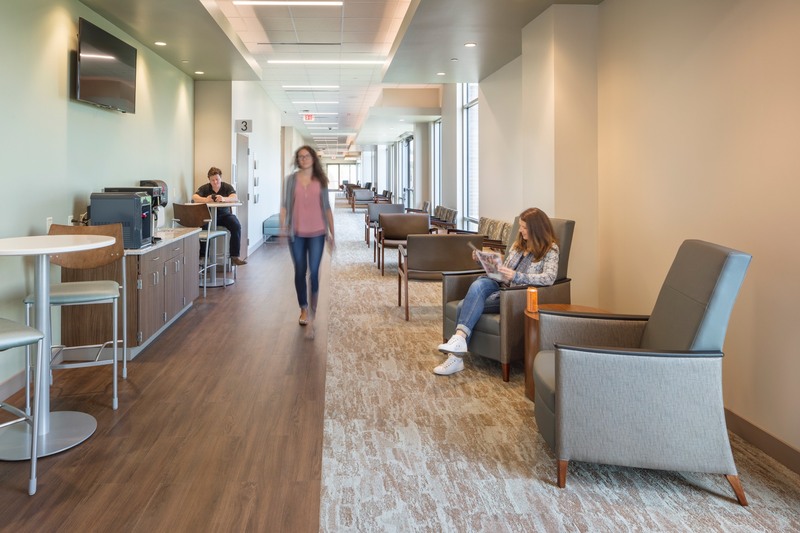 The LEED Silver-designated clinic features indoor and outdoor spaces that provide daylighting, superior air quality, low-emission building materials, and flexible thermal and lighting controls. To minimize construction waste and reduce the clinic’s future environmental impact, recycled materials and efficient water and energy management equipment and extensive landscaping were incorporated into the design.